Autumn has definitely arrived, it’s a beautiful time of year, but temperatures have dropped and the Models Direct team are now embracing some of this season fashion trends! 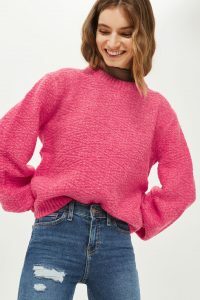 Loving this pink jumper from Topshop – great to go with jeans or black skinnys!! When modelling you can be on set for sometime and it’s tiring, so what’s better than pulling on a big cosy jumper to warm you up – this one from Very.co.uk is ideal. 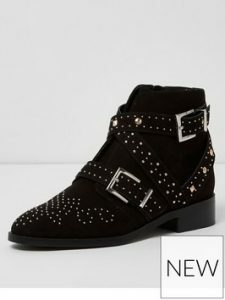 This biker boot from River Island is a great option, bit edgy, comfortable and could be worn with a skirt or trouser. 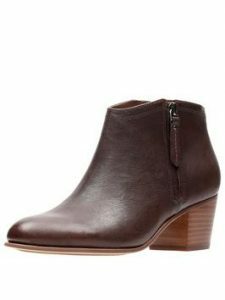 A slightly more expensive option, however Clarks have this gorgeous boot available this season, really versatile, comfortable and a beautiful colour! Whatever fashion pieces you choose to invest in this season make them count, choose wisely and invest in good pieces that will last! Fashion changes continuously, but quality pieces can be worn season after season! This entry was posted in commercials, Fashion, female model, male model, modelling, modellingagency, Models, Models Direct, Promotional Modelling and tagged Fashion, modelling, modelsdirect, trends by The Models Direct Admin. Bookmark the permalink.